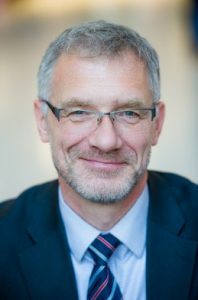 Jakob Edler is Professor of Innovation Policy and Strategy at the Alliance Manchester Business School and Executive Director of the Manchester Institute of Innovation Research (MIoIR), one of the largest academic innovation centres worldwide with 40 staff members and 40 PhD. Jakob’s research interests lie in the analysis and conceptualisation of governance and policy in science and innovation. He works on the evaluation and impact of science and innovation policy, and is currently leading an EU funded database development and analysis on evaluation practice in science and innovation policy (SIPER) as well as an executive education course on STI policy evaluation. A more recent research interest, funded by the Norwegian Research Council, is the conceptualisation and analysis of the impact of science on policy making (OSIRIS). His major focus in recent years has been on demand side innovation policy and public procurement of innovation. Jakob has also published on the conceptualisation of governance of socio-technical systems and governance of responsible research and innovation as well as on internationalisation of research and innovation activities and related governance and policy issues. Jakob is elected member of the German National Academy for Science and Engineering (Acatech), member of the Austrian Council for Research and Technological Development and member of the Royal Society for the Encouragement of Arts, Manufactures and Commerce. Since June 2016 Jakob is President of the association of 17 institutes in research and innovation policy EU-SPRI FORUM.